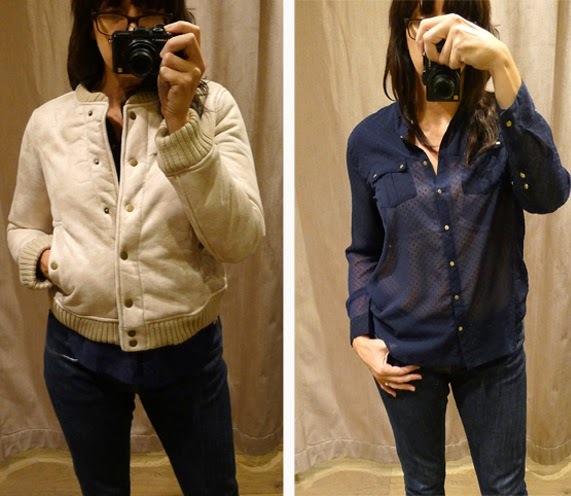 Things I really love about Mango: their jackets, their boots, their blouses, and the fact that they hang really cute ensembles at the front of a display rack, and behind it, on the same rack, are all the elements of the really cute ensemble. Almost all combinations below are such ensembles. 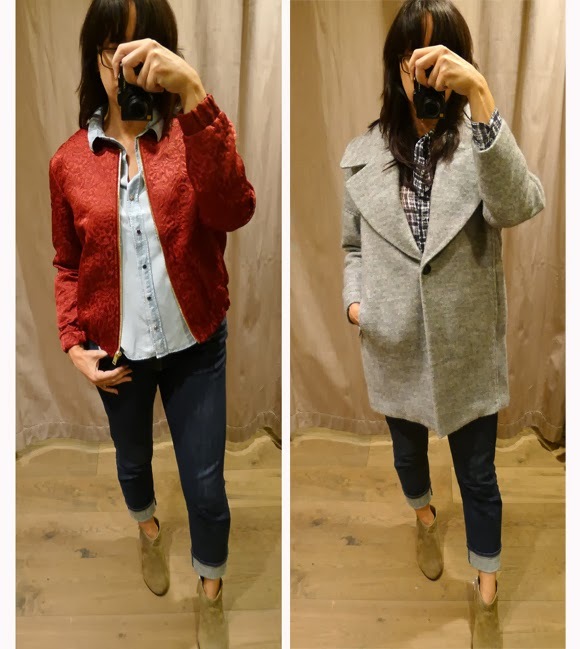 I was iffy on the red, quilted bomber ($89.99) until I tried it on. Great piece. The gray coat ($189.99) speaks for its own fabulous self. Boots are $109.99 and I must have them. They are a perfect neutral ankle boot. White bomber is $109.99, and the sheer blouse underneath is $59.99. See? Great jackets, boots, and blouses. Is it fair to say that Mango can do no wrong? In Fall and Winter, especially, they're killin it! Yup, totally fair to say!